Samsung GRO Award of $100,000 per year up to three years. Volcano Corporation (Rancho Cordova, CA) Fellowship, $78,100, Sep. 2008-Sep. 2010. Siemens (Princeton, NJ) Fellowship, $50,000, Jun. 2007-Dec. 2007. Boston Scientific (Fremont, CA) Fellowship, $122,500, Jan. 2006-Jun. 2007. Colonel Fairleigh S. Dickinson (Teaneck, NJ) Scholarship, $7,500, Jan. 2002-Sep. 2003. Third place in North New Jersey IEEE student paper presentation contest, graduate category, Teaneck, NJ, March 2003. Computer Aided Surgery and Diagnosis. Augmented Reality in Medical Procedures. Computer Vision for Medical Applications. 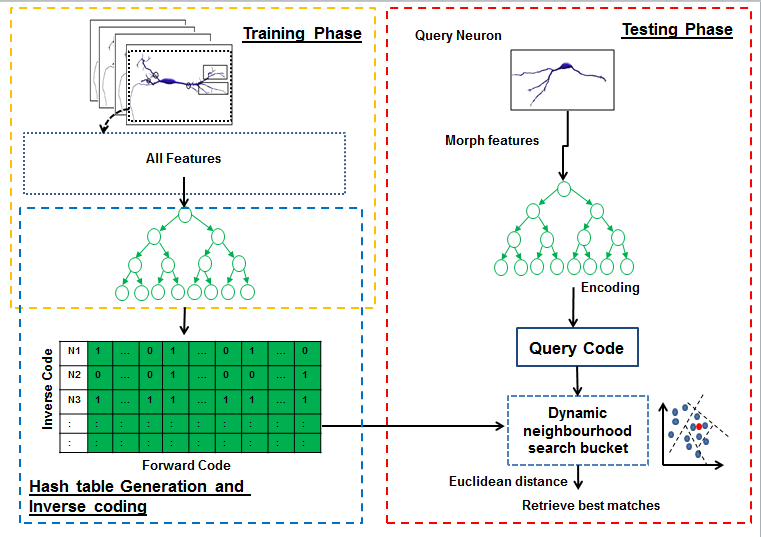 Multidimensional Cue Extraction and Pattern Recognition. Reconstruction, Registration, Visualization, and Segmentation of 2-4D Images. Implementation and development of a new service to report, analyze, visualize neurons for neuroscientists in Python (IDP, Finished). Cardiac Magnetic Resonance Image Analysis and Modeling for Patients with Implantable Cardioverter Defibrillators (ICDs) (Master Thesis, Finished). Integration of a WiFi? Interface and Win7 C#-GUI development for control and surveillance of a Heart Assist Device in animal experiments (IDP, Finished). 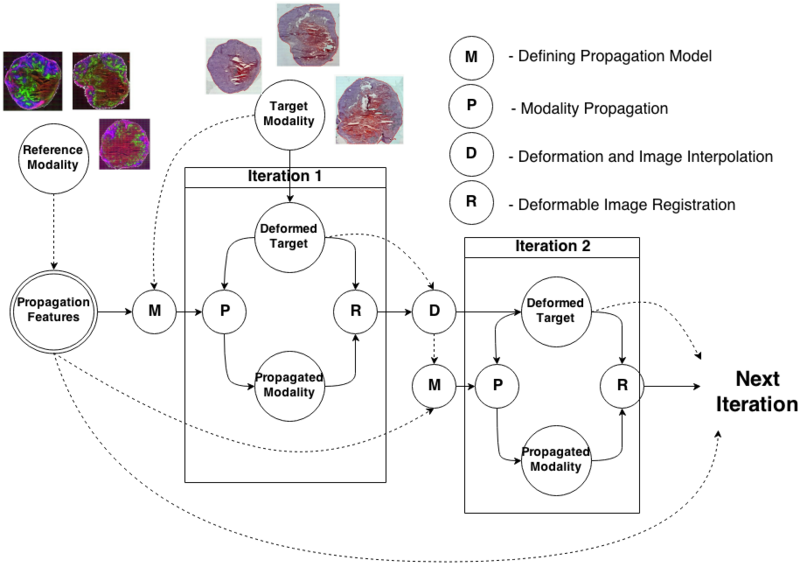 Knowledge propagation models for deformable image registration (Master Thesis, Finished). Implementation and development of wavelet-packet-based tissue characterization for IVUS image in C++ and MeVisLab? (IDP, Finished). Journal of Medical Image Analysis. Journal of IEEE Transaction on Medical Imaging. Journal of IEEE Transaction on Biomedical Engineering. Journal of IEEE Transaction on Information Technology in Biomedicine. Journal of Digital Signal Processing. Journal of Computers in Biology and Medicine. Journal of Cardiovascular Magnetic Resonance. Medical Image Computing and Computer Assisted Intervention (MICCAI) 2013. Design of Medical Devices Conference, Europe 2013.
International Symposium on Mixed and Augmented Reality (ISMAR) 2012. Medical Image Computing and Computer Assisted Intervention (MICCAI) 2012. 15th International Conference on Medical Image Computing and Computer Assisted Intervention (MICCAI)-CVII. Program Committee: International Conference on Systems in Medicine and Biology (ICSMB), Kharagpur, India, 2016. Steering Committee: the 18th International Conference on Medical Image Computing and Computer Assisted Intervention (MICCAI)-CVII/STENT workshop, Munich, Germany, 2015. Program Committee, the MICCAI workshop on Computing and Visualization for Intravascular Imaging and Computer Assisted Stenting MICCAI-CVII-STENT, Boston, USA, 2014. Executive Committee, the 4th International Conference on Information Processing in Computer-Assisted Interventions (IPCAI), Heidelberg, Germany, 2013. Program Committee, the 15th International Conference on Medical Image Computing and Computer Assisted Intervention (MICCAI)-CVII, Toronto, Canada, 2011. PicoSEC?-MCNet Training Workshop, “The necessity of personalized monitoring for patients with cardiovascular disease,” Munich, March 19th 2015. Otto-von-Guericke University (Magdeburg, Germany), Computer Science Department, “Computer-assisted decision support for coronary atherosclerosis diagnosis and treatment,” February 5th, 2015. Tehran University, Electrical Engineering and Computer Science Department, “Computer-assisted decision support for coronary atherosclerosis diagnosis and treatment,” January 25th, 2015. MICCAI-CVII workshop, "The missing link in healthcare system; personalized monitoring," MIT Boston, 2014. University of Barcelona, Computer Vision Center, "patient-Specific Translational research on Atherosclerosis and Diagnosis (STAnD?)@CAMP@TUM". February 22nd, 2013. PicoSEC?-EndoTOFPET-US workshop on intraoperative imaging and navigation solutions, January 16th, 2013. Technical University of Munich, Department of Mathematics, "Applications of multiscale analysis in quantification of atherosclerosis disease," November 10th, 2011. Sabanci University (Istanbul, Turkey), Department of Engineering and Natural Sciences, "Quantifying Atherosclerosis: IVUS Imaging For Lumen Border Detection and Plaque Characterization," December 22nd, 2010. Volcano Corporation (Sacramento, CA), "Detection of Lumen Border in IVUS images via Three-Dimensional Brushlet Analysis," June 28th, 2009. Ali Kamen, Lance Ladic, Sebastian Pölsterl, Adnan Kastrati, Amin Katouzian, Nassir Navab, “A novel cost-effective method for stratification of CAD patients for revascularization procedure based on minimizing the adverse effect,” 2013. Debdoot Sheet, Amrita Chaudhary, Jyotirmoy Chatterjee, Ajoy Kumar Ray, Amin Katouzian, "Methods and System for Characterizing Tissues in Optical Coherence Tomography," 2013. Amin Katouzian, Nassir Navab, “Intelligent Implanted Health Sensing Device and Assembly”, 2012. Amin Katouzian, Andrew F. Laine, Debdoot Sheet, Athanasios Karamalis, Abouzar Eslami, Stephane G. Carlier, Nassir Navab, “System and Method for Characterizing Tissues in Intravascular Ultrasound using Statistical Physics," 2012. Amin Katouzian, Elsa D. Angelini, Auranuch Lorsakul, Bernhard Sturm, Andrew F. Laine, “Denoising and Lumen Border Detection of Intravascular Ultrasound via Segmentation of Directional Wavelet Representations,” Serial No. 61/200,987, December 5, 2008. Amin Katouzian, Babak Baseri, Elisa E. Konofagou, Andrew F. Laine, “Systems and Methods for Intravascular Tissue Characterization and Border Detection,” WO2009023626, 2009. Amin Katouzian, Elisa E. Konofagou, Andrew F. Laine, “Unsupervised Texture-Derived Atherosclerotic Plaque Characterization Algorithm through Backscattered Intravascular Ultrasound Signals,” Serial No. 60/991,508, November 30, 2007. Amin Katouzian, Elisa E. Konofagou, Andrew F. Laine, “Intravascular Ultrasound (IVUS) Tissue Characterization and Border Detection through Backscattered Signals by Wavelet Packet Analysis,” Serial No. 60/955,249, August 10, 2007. Abouzar Eslami, Amin Aboee, Zardosht Hodaei, Mandana J. Moghadam, Stephane G. Carlier, Amin Katouzian, Nassir Navab, “Quantification of Coronary Arterial Stenosis by Inflating Tubes in CT Angiographic images,” Accepted in 3D Cardiovascular Imaging: a MICCAI segmentation challenge, 2012. Debdoot Sheet, Athanasios Karamalis, Nassir Navab, Andrew F. Laine, Jyotirmoy Chatterjee, Ajay K. Ray, Stephane G. Carlier, Amin Katouzian, “Machine learning of ultrasonic statistical physics primal for tissue characterization in intravascular ultrasound,” Late breaking research posters paper, 34th Annual International IEEE EMBS Conference, 2012. Stephane Carlier, Athanasios Karamalis, Amin Katouzian, Nassir Navab, “Confidence estimation with random walks of IVUS based radio-frequency plaque characterization,” European Society of Cardiology, 2012. Arash Taki, Alireza Roodaki, Sara Avansari, Ali Bigdelou, Amin Katouzian, Nassir Navab, “New Approaches for plaque component analysis in intravascular ultrasound (IVUS) images,” Book Chapter, Springer, Under publication. Amin Katouzian, Elsa D. Angelini, Bernhard Sturm, Andrew F. Laine, “Brushlet Segmentation for Automatic Detection of Lumen Borders in IVUS Images; A Comparison Study,” Accepted for IEEE proceedings of ISBI, 2012. Amin Katouzian, Stephane Carlier, “Development and performance of a new unsupervised classifier for IVUS-based tissue characterization,” The 31st annual scientific meeting of the Belgian Society of Cardiology, 2012. Amin Katouzian, Elsa Angelini, Bernhard Sturm, Elisa Konofagou, Stephane Carlier, Andrew Laine, “Applications of Multiscale Overcomplete Wavelet-Based Representations in Intravascular Ultrasound (IVUS) Images,” Ultrasound Imaging; Advances and Applications, Book Chapter, Springer, 2011. Amin Katouzian, Elsa D. Angelini, Bernhard Sturm, Andrew F. Laine, “Automatic Detection of Luminal Borders in IVUS Images by Magnitude-Phase Histograms of Complex Brushlet Coefficients”, IEEE proceeding of EMBC, Buenos Aires, Argentina, 2010. Amin Katouzian, M. Alper Selver, Elsa D. Angelini, Bernhard Sturm, Andrew F. Laine, “Classification of Blood Regions in IVUS Images Using Three Dimensional Brushlet Expansions,” IEEE proceeding of EMBC, Minnesota, 2009. 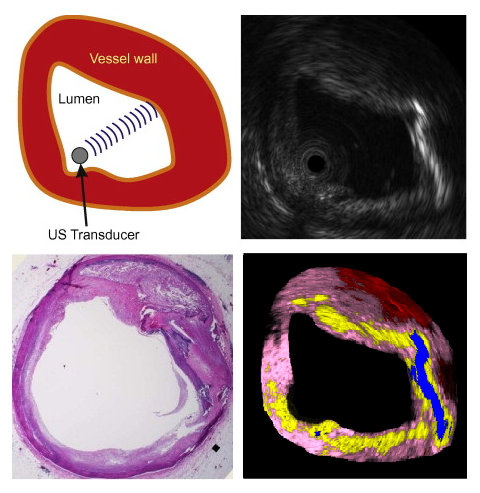 Amin Katouzian, Elsa D. Angelini, Auranuch Lorsakul, Bernhard Sturm, Andrew F. Laine, “Denoising and Lumen Border Detection of Intravascular Ultrasound via Segmentation of Directional Wavelet Representations,” Functional Imaging and Modeling of the Heart (FIMH), pp. 104 - 113, Nice, France, 2009. Amin Katouzian, Andrew F. Laine, “Multiscale Overcomplete Wavelet-Based Representations for Classification of Atherosclerotic Plaque Using Backscattered Radiofrequency Intravascular Ultrasound Signals ", (Invited) 34th International Symposium on Ultrasonic Imaging and Tissue Characterization (UITC), 2009. Amin Katouzian, Babak Baseri, Elisa E. Konofagou, Andrew F. Laine, “Texture-Driven Coronary Artery Plaque Characterization by Wavelet Packet Signatures,” IEEE proceedings of ISBI, Paris, May 2008. Amin Katouzian, Babak Baseri, Elisa E. Konofagou, Andrew F. Laine, “Automatic Detection of Blood versus non-Blood Regions on Intravascular Ultrasound (IVUS) Images Using Wavelet Packet Signatures,” proceedings of SPIE, San Diego, Feb. 2008. Amin Katouzian, Babak Baseri, Elisa E. Konofagou, Andrew F. Laine, “An Alternative Approach to Spectrum-Based Atherosclerortic Plaque Characterization Techniques Using Intravascular Ultrasound (IVUS) Backscattered Signals”, MICCAI-CVII 2008. Amin Katouzian, Shashidhar Sathyanarayana, Babak Baseri, Elisa E. Konofagou, Stéphane G. Carlier, “Challenges in Atherosclerotic Plaque Characterization with Intravascular Ultrasound (IVUS): From Data Collection to Classification,” IEEE Transaction on Information Technology in Biomedicine, special issue on Intravascular and Intracardiac Imaging, vol. 12, no. 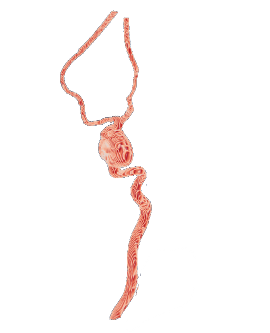 3, pp. 315-327, 2008. Kaoru Tanaka, Stephane G. Carlier, Amin Katouzian, Gary S. Mintz, “Characterization of the Intravascular Ultrasound Radio frequency Signal within Regions of Acoustic Shadowing Behind Calcium,” Journal of American College of Cardiology, vol. 49, Issue 9, Supp. B, 2007. Amin Katouzian, Shashidhar Sathyanarayana, Wenguang Li, Tom Thomas, Stéphane G. Carlier, “Challenges in Tissue Characterization from Backscattered Intravascular Ultrasound Signals,” proceedings of SPIE, San Diego, Feb. 2007. Stephane G. Carlier, Kaoru Tanaka, Amin Katouzian, “Atherosclerotic Plaque Characterization from Radio Frequency Ultrasound Signal Processing,” US Cardiovascular Disease, Issue I, July 2007. Amin Katouzian, A. Prakash E. Konofagou, “A New Automated Technique for Left- and Right- Ventricular segmentation in Magnetic Resonance Imaging,” IEEE proceeding of EMBC, New York, 2006.